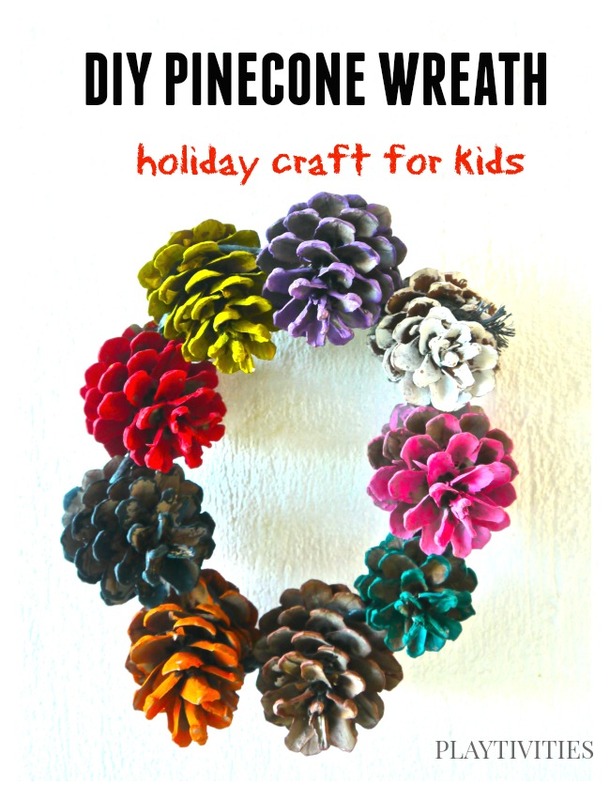 It’s pinecone season here, in our part of the world, so, finally, we get to make some pinecone crafts. We (me and the kids) are pretty much obsessed with these adorable rounded woody fruits of a pine tree. Every time we look at them we see a different project. We hope to share some of them with you. Pinecones instead of flowers. True love? So the other day I got a romantic surprise from my husband. No. No blooming, colorful, gorgeous flowers in his hands. His face was overly excited and shirt had some little branches falling off. He had a huge box of PINECONES in his hands. Me? I could not me more happier. It’s one of those moments when you pass a boutique store and you glimpse at the piece of jewelery and next thing you know you get that for your birthday or anniversary. 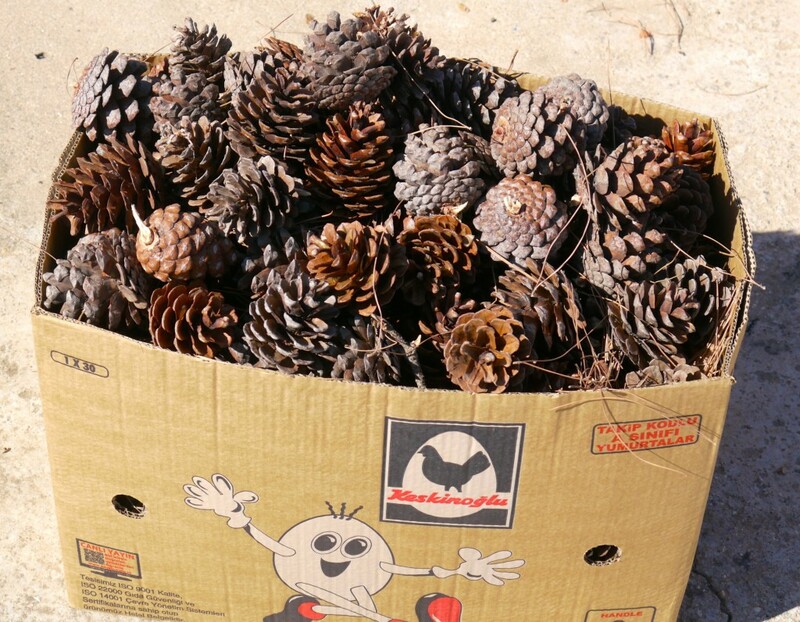 Only thing is different in our situation: it’s not an expensive ring, it’s a box of pinecones. You see, the other day I was talking (mostly to myself) that I need some pinecones for our craft projects and some house decorations for upcoming holidays. And boom, my wish came true. So, you say it – true love? 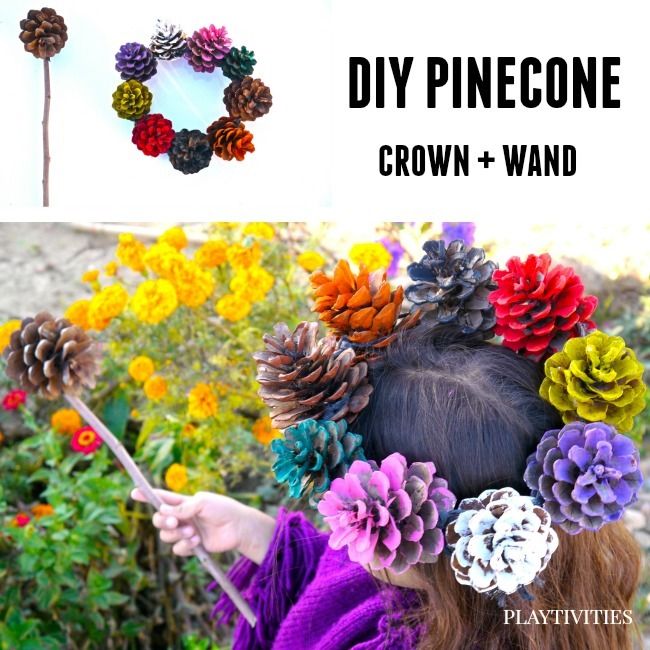 Pinecone craft – crown and wand. Ok. Let’s get to pinecone crafts. 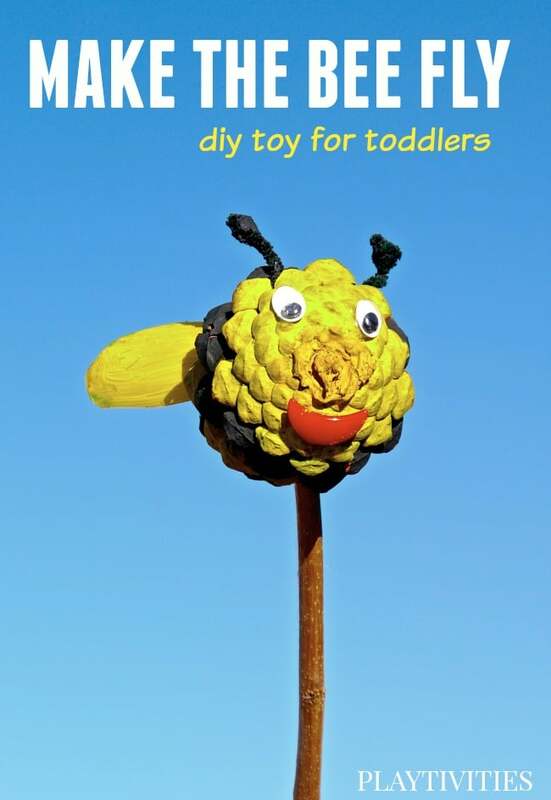 Originally, we were making a DIY toy from pinecones for Kids Activities Blog. (you will see that post sometime in the future, I will link it here). Anyway, in the middle of it, my daughter came up with an idea to make a pinecone crown. Why not? It’s very simple. We painted 9 pinecones (we used acrylic paint) let them dry and tied all of them with a string. There you have it – pincecone crown for a queen. Oh, we made a magic wand too, because all queens do magic things, right? 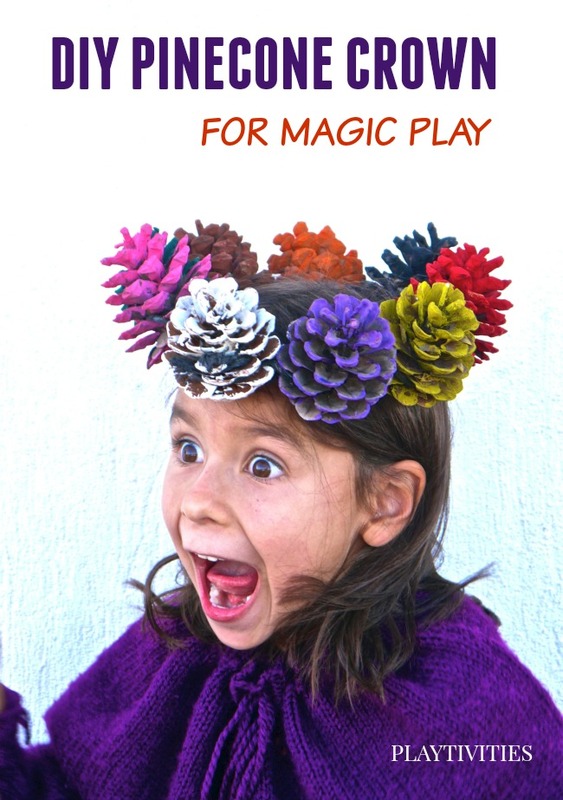 We love pretend play at our house and this pinecone crown and wand encouraged some pretty awesome play and good emotions. I believe that “make believe” play helps to foster creativity and life skills in young children. Dress up and role playing gets the child up and moving, and allows them to bring their favorite story books to life. What better way to spark the imagination of a special child then this charming accessories for her inner queen and princess? And if the kids are done playing with the crown, don’t put it away. 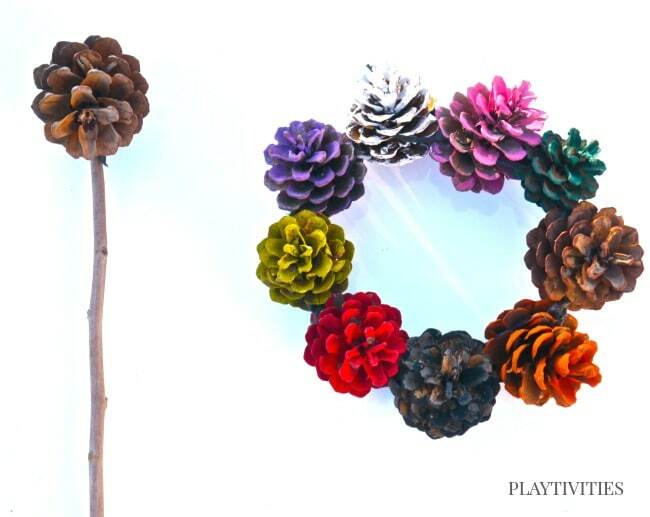 It will make super colorful holiday pinecone wreath on your door or the wall. I think it could also make it to your table, as a centerpiece. 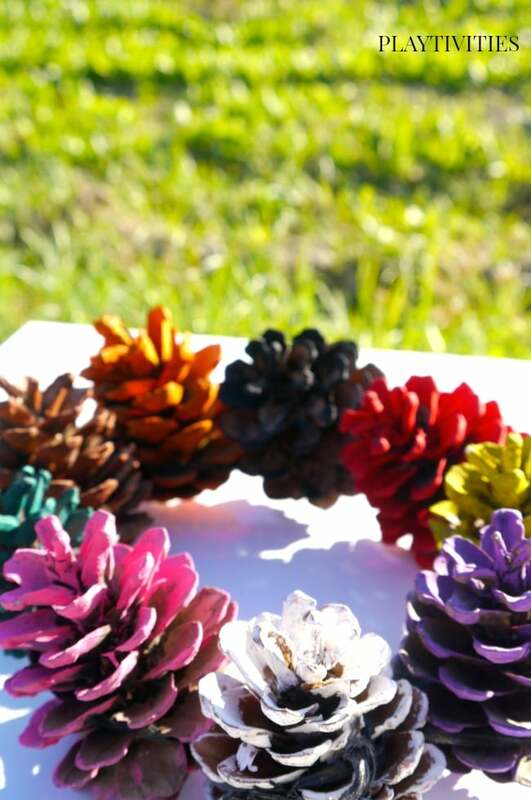 Next few days I will be sharing more pinecone crafts kids can make AND can play with. Please come back and check them out. I love this! I pinned it and will share it on my page today.